With the boom in the television and entertainment industry, the channel wars are becoming more and more evident. After half a decade of saas-bahu goose fights, neck deep controversial reality shows coming on air, seem to have caught the fancy of India. The entertainment channels are giving the concept visualizers of new shows sleepless nights and deemed by anything but flood fire and draught, the cut-throat competition is on and blooming. After Indian Idols and Fame gurukuls, and Saregama Music competitions or voice of India shows, the wind seems to be blowing towards a more musical future of entertainment. These revenue-generating competitions have become the new age craze for both viewers and producers. Television channels build and dissolve many a controversies and scandals in order to tip over each other’s TRP. 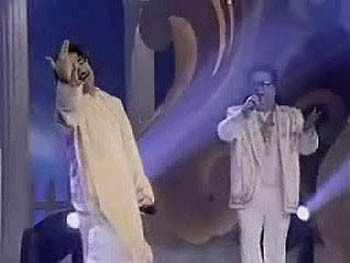 In the crowd of such reality music shows, K for Kishore stands unique as a concept. It is journey of 12 trained and veteran singers to compete for the title of the true heir to Kishore Kumar’s music empire. Rightly called the ‘Heir Apparent’ of Kishore Kumar. It will definitely bring fond memories of the then pure music that used to sooth our souls and touch the very molecules within us. 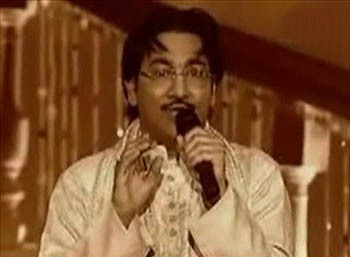 If you think your singing talents are matching to that of Kishore Kumar, then you can be a part of the program. This the first show of its type. You only have to practice the style of one singer and trying to achieve accuracy rather than mumbling many singers at a time n loosing the sole fun of it. The show was aired for the first time in Indian Television on 21st December. It is going to be telecasted every Weekend on Friday and Saturday 9 PM. Sony Entertainment Television has got hold of Radio Mirchi and IBN 7 as media partners and promoting the show nation wide. The trio hope to repeat the history of success with this show as they did in past. As the name reality show suggests, how can it be far form controversies? This time, even before the show started a controversy took the lead. Sony entertainment has asked Babul Supriyo to co-host the show but he already had signed an agreement with NDTV for ‘Dhoom Macha De’. The controversy finally got evaporated as Delhi high court permitted Supriyo to work with Sony Entertainment Television. So Supriyo would be hosting the show form the third Episode onwards. The show will also have great singers and music directors as Bappi Lahiri and Sudesh Bhonsle and son of Kishore Kumar Amit Kumar to judge the participants. Bappi Laheri has already judged couple of music shows and has become a regular face on Television. 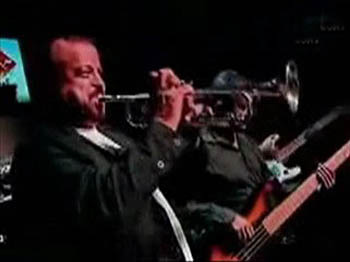 He is not only a blood relation of the legendary singer but also a close associate. Sudesh Bhonsle has finished many a number for Kishore Kumar who left those songs incomplete for his heavenly abode. The show is also unique in the way that there is no sms or call voting but it is just the studio audience and judges who will decide the fate of the participants. The show would be a definite treat for Kishore Kumar fans and Supriyo who is also having a great fan following will have a ball of a time together. The show would provide fun for almost 10 weeks. On the whole the show will be fun to watch with the judges and the participants trying to create bygone era’s music enchantment. This entry was posted on Thursday, December 27th, 2007 at 10:08 pm	and is filed under K For Kishore. You can follow any responses to this entry through the RSS 2.0 feed. You can skip to the end and leave a response. Pinging is currently not allowed. Nothing great in K for KK, all artists participating in the show are going off key, and failed (in career wise) judges like Amit kumar, Sudesh Bhosle…. Congratulations to Sony Television for this wonderful show K for Kishore. For us living abroad, this is like a breath of fresh air. I would like to know how can I participate in the program as I am living out of India. I wish to send a CD where I have sung and recorded songs of Kishoreda. Kindly assist me to do the same, and give me an opportunity to participate in the contest. Reality shows hosted by various companies are really making a good platform for unidentified artists. Especially for the music programmes,there should not be any public or voting from the audience,who hardly know the intricacies of music.I would appreciate if the judges too are selective and unbiassed e.g there should a singer,a music director too, then the events would be transparent. Once again I appreciate the reality shows which are enabling us to move forward from an era of monopolisation and also giving opportunities to identify ‘ FACES IN THE CROWD” and making a living to artists. Per today’s “K for Kishore” show, you will need to SMS @12900 through TATA Indicom to participate in the show. After receiving your SMS, they will contact you via phone, so, do not forget to send them your phone number. Good Luck and show your singing talent. More singers we have, better it is to judge the most kishoreda talented singer. Can’t wait for the review of the 7th episode to post my comments.It was a great show…..I have seen Vinod’s( Piya, piya piya……)performance in a number of shows at Chennai. I’m sure he will be “The Heir Apparent”, though he had some initial hitches,but now he’s come into his form.Cheers and Hearty wishes to him and all other!Heh Arnab U too are Goo…d man! 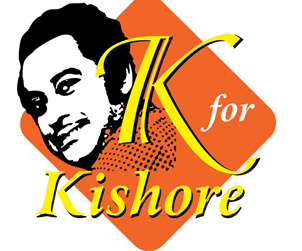 I am from USA.I want to participate in “k for Kishore” show .Plz send me the prosess for the partcipation.Thank you. I came to know regarding this programme through a friend of mine and would like to participate in the pogramme “k for Kishore” show. I am big fan of Kishore Kumar. I want to participate in K for kishore . kindly let me know the procedure by email ID souviknandi@yahoo.com. Thanks you so much for your reply. I am now currently based in Nigeria and want to know the postal address of K for Kishore show so that I can send my recorded CD. I desperately want to participate in this show and am therefore looking for a way to do it. I have even sung a line with Amit Kumar in a show when he came to Nigeria for Diwali Festival 2005. After those few moments shared with Amit Kumar, my passion for Kishoreda and his songs has increased a hundred times. Please assist me to get the sony television postal address so that I can courier my CD. Chicago se ANJU DESAI and YOGESH DESAI, ka Namaskar, and Jay Shree Krisha. Aap logone milke yeh jo K FOR KISHORE KUMAR ka show banaya hai, voh aajtak ki TV ki history me bahetrine hai. Aaisa show aaj tak kabhi hua nahin hai aur sayad hi ho paye. Please aap ish show ko haesha barkarar rakhe. Ishe kabhi khatam na hone de. Agar appko koi aacha Kishor Kumar jaisa gaanewala bhakt na mile to koi baat nahin, aap dono host aur 3 judges to hai hi. Aur aap se bahetrine gaanewala koi ho bhi nahin sakata!! Hamara to aapki BEAUTY CAMERA me dil baith gaya hai. Aap dono jis aada se voh BEAUTY CAMERA ki addvertise pesh kar rahi hai bus hame ab voh BEAUTY CAMERA pane ki cahat badhti hi jati hai. Please aap hame apna ek Subhechhak samajkar aur good lilstner samajkar hi voh BEAUTY CAMERA, jinme aap sab ke pictures aur sabka autograph ke saath hame jaroor bhej dijiyega. Hum aap sabke aabhari hoge, aabhari hai, aur marte dum tak aabhari rahenge, yeh hamara vaada hai. Hamari paheli pasand MR. NAYAN RATHODJI hai. Jis ada se voh gaana gaate hai, unke face expression bhi bilkul unke bhole bhale chahere ka saath deta hai. Hame to unki gayki bahot pasand hai. Aur dusri pasand hai, MR. CHINTAN BAKIWALAJI. Voh bhi kamal ke gaane gate hai. Unka make up and jis tarah se voh saj dhaj ke aate hai, unme bilkul KISHOR KUMAR ki zalak dikhi deti hai. Aur tisri pasand hai MR. MILIND INGLEJI. Unhone jis tarah hamare THE MOST FAVIROUTE SHARABI FILM ke gaane ke saath entry ki thi ke voh dil ko chubh gayi hai. Vaise to sab contestants lagawab hai. Par hamari pasand in tino me jyada hai. Aur tino Judges ke bhi apne apne andaz hai jo hame bahot pasand hai. Ab to aap hame aapka BEAUTY CAMERA jaroor bhej dijiyega. Hum acche listner hi nahin, aap sabke chahak bhi hai aur aap sab logo ke alag alag andaz ko pyar bhi bahot karte hai. Hum aapke ek bhi episode miss nahin karte hai. Tape karkar ke firse dekhne ki chahat rakhte hai. Please, aap hame aapka BEAUTY CAMERA jaroor bhejiyega. Are ha, hamara address to apko dedu taki sahi pate pe jaldise aap BEAUTY CAMERA bhejne ki gustakhi kare. I want to perform in your show k for kishor. plz give me opportunity to show my talent. sir, i wanna take part in kishoreda progamme. plz plz plz tell me how to partticipate or plz tell me the phone numbers of sony tv. It was greatest show on earth on the greatest legend & Super Star Rajesh Khanna special on 14.3.2008 has proved to be the Greatest and Best show of K for Kishore. All participants sang very well and moreover, they choosen the best songs from Super Star Rajesh Khanna’s films. I once again made an appeal to SONY TV that our SUPER STAR RAJESH KHANNA should be the REGULAR CELEBRITY JUDGE in future eipsodes OR ATLEAST IN THE FINAL EPISODE. i am living in madagascar i think i sing priti good my friend say that !! i whod like to participet in your program i allreddy seng in same stej parformance in madagscar & india so plz tel me what to do? my name is Nasir Bhatti i am die hard fan of kishore da i never ever learnt singing i just listen to kishore kumar all songs he is my master behind my singing i love in his songs feelings which i feel when i sing. once i want to come to india and sing on that stage. i want to get chance. please let me know how can i come and sing there i think my voice is like kishore i can send you my song which i recorded just on pc with keroeke. please please i can sing like kishore da. please informe me soon. kishore kumar is the diamond in the sky.all singer are walking their way to follow him.i respect this diamond.